Hispasat, the Spanish satellite-based telecommunications operator, and Quadrille, the software provider and supplier of solutions for contend and OTT channels delivery via satellite, are introducing today a new solution for non-linear satellite-managed services, or Push VOD, at IBC. The solution allows on demand video content to be distribute via satellite without the need of internet access. Through this new solution, Hispasat provides a tool to its clients in the media market who wish to distribute non-linear content or video-on-demandn via satellite quickly and easily. The platform can also be used in market segments such as mobility and corporate and government services, according to Hispasat. Quadrille is providing its QuadriFast software package to send video files and advertisements. Ignacio Sanchis, chief commercial officer of Hispasat said that “innovation in audiovisual services is part of Hispasat’s DNA. We always seek to offer the best solutions that allow our clients to develop and grow their services via satellite. Thanks to the solution that we’ve developed with Quadrille, our clients will be able to offer added value services, such as VoD or Catch-up TV, in a simple and efficient manner”. Xavier Battas, CEO of Quadrille, said: “The time has come when satellite TV viewers can have access to non-linear contents as if they were connected to the internet. The great thing about accessing non-linear contents via satellite with QuadriFast is that users will always have the best visual experience without any loss of image quality. 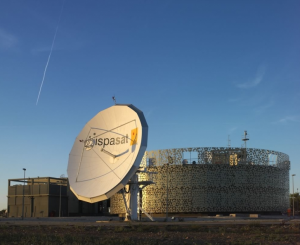 We here in Quadrille are very proud of having provided our experience in this field to Hispasat”. Hispasat is exhibiting at IBC on stand 1.C37.